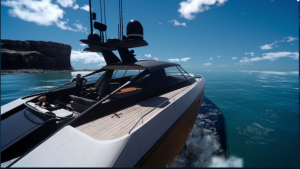 The Final Fantasy XV universe takes place in the fictional world Eos. It is told in legend that the world was created by a race of beings from a higher realm of existence, and the Atrals which were physical manifestations of the stars. The mysterious entities would then return to their realm, while the Astrals remained in Eos to protect the world as time went on. 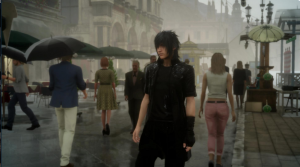 The Kingdom of Lucis is a highly-developed country under the rule of the Lucis monarchy. Though generally modernized, the nation continues to preserve ancient traditions and culture with “songs of sword and sorcery”. It is also the only country to still possess a magical crystal. The crystal uses magical energy to erect a barrier that shields it from the rest of Eos, especially on threats of invasion and war. Lucis’ capital city is Insomnia. Dubbed “The Crown City”, it is a bustling metropolis filled with tall skyscrapers. While the city itself is a very modern human settlement, the region beyond its walls stretches to a vast and desolate wasteland. Once a free kingdom ruled by the Queen Sylva Nox Fleuret, Tenebrae is now a province of The Empire of Niflheim. Geographically, the kingdom is comprised of lush green mountains with castle-like structures. The Empire of Niflheim (formerly Solheim) is the most technologically advanced country in all of Eos. While largely a militarized zone, the country was the first to introduce automobiles to the rest of the world. The empire was able to achieve military supremacy when Ardyn Izunia — now chancellor of the empire — pioneered the use of magitek infantry in its campaigns. Because of this, the empire was able to conquer most of the known countries in Eos, but not Lucis. While having a certain degree of autonomy from Niflheim’s rule, the conquered kingdom of Tenebrae is still under the control of the empire. 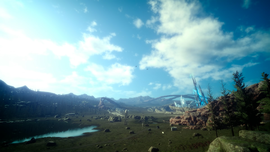 Tenebrae only continues to enjoy this limited freedom because the former princess and now Oracle Lunafreya has the ability to commune with the Gods, which the empire seeks to use to its advantage. One of the four nations along with Lucis, Tenebrae and Niflheim, the nation of Accordo originally guarded a magical crystal. The country is built around a network of canals and waterfalls. Because of this, Accordo has many ship-borne market places, shops, cafes and parks. 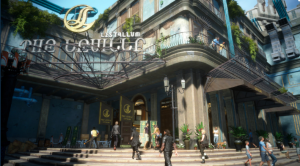 Accordo’s capital city is Altissia. The massive city is a complex maze of streets with waterways abound. Visitors can ride around gondolas to get around the city. The region of Duscae runs across a vast grassy plain with lakes, forests, mountain ranges and occasional stone arcs. Huge monsters are known to inhabit and roam about the region. Despite this, there are towns situated in Duscae, and in rather remote parts, ruins. 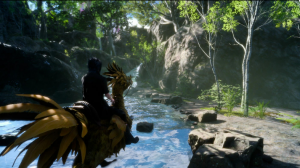 While the locations mentioned are only a few of the areas Noctis’s party can travel to, Eos is a world like nothing you’ve seen or imagined before. 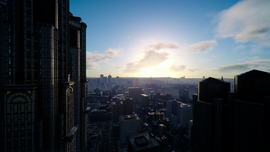 Check out these screenshots of various locations in the game!